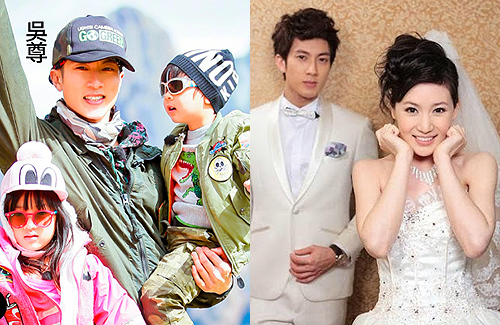 Wu Chun (吳尊) and his wife, Lin Liying (林麗瑩), have been happily married for eight years and are parents to two beautiful children. The couple met when they were just 16 years old and were each other’s first loves. Because Liying is not from the entertainment industry, the couple kept their relationship a secret. After dating for 18 years, they finally tied the knot in 2009. In Wu Chun’s mind, every day could be Valentine’s Day. However, one thing he has gotten into the habit of doing is telling his wife “I love you” before going to bed every night. Despite his busy schedule with work and fatherly responsibilities, he always makes time to go on dates with his wife and spend quality time together.